Xzibit is currently on a tour run through Canada, supporting his recently released, seventh studio album, Napalm. But, music isn't all the west coast rap vet is up to. 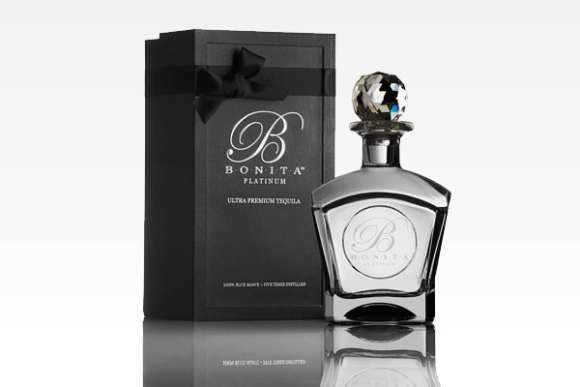 X is also launching premium brand of tequila called Bonita, set to drop early next year. It is distilled five times, followed by a proprietary 3x cold-filtration method, after which it's hand-bottled in pure crystal and then wrapped in satin, adding to its high-end appeal. The Bonita Spirits Company, the entity behind the tequila, was actually founded in 2010 by Southern Illinois University grad Chris Brown, not to be mistaken with the famous singer. He would eventually send Xzibit the first sample… and he was hooked. "When he received the first sample of Bonita, Xzibit was immediately blown away by what we had created. The tequila was amazing, the packaging was beautiful and dynamic, and the brand was perfect," the brand's website says. "He knew, at that moment, that he had to make Bonita his own." X and Brown have since become partners, and plan to launch Bonita in early 2013. For more info, visit BonitaSpirits.com.